Traditional rabelo boats (used for transporting Port Wine along the Douro river) Taken from the top of the Ponte Luis 1 in Porto. I have found that I love taking photos from above. As high as I can get looking down on the world below. This was taken from the top of a very high bridge in beautiful Porto. 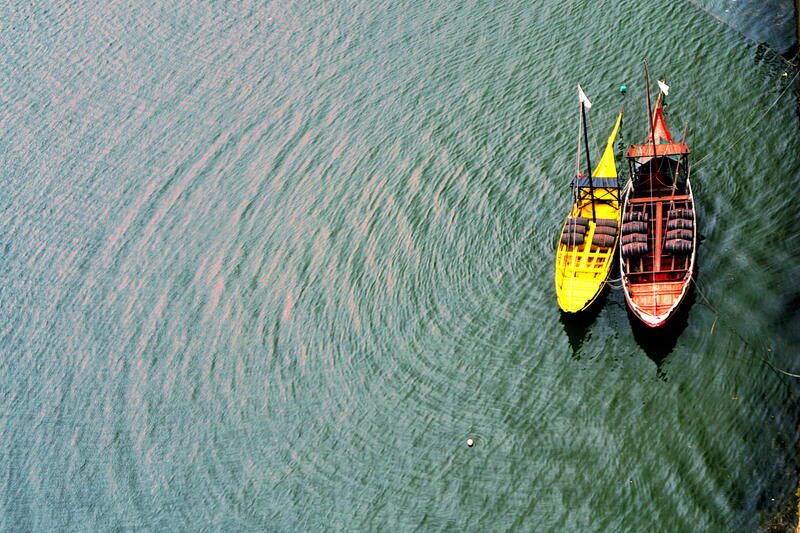 I love the ripples of the waves in the river Douro and the colours of the boats. Posted in from above, photography, porto, portugal, portugal porto, travelTagged barrells, birds eye view, boats, bridge, douro, from above, ponte luis 1, port, port wine, porto, portugal, rabelo boats, ripples, river douro, water, waves, yellowBookmark the permalink.